Oh, baby, it’s cold outside. Welcome to Stories Served Around The Table January Update. January began the new year with giveaways, hug challenges, and a re-affirmation of goals. Read on. I was honored to be interviewed again on The Writer’s Dream. This time, I chatted with Joe Santriano. 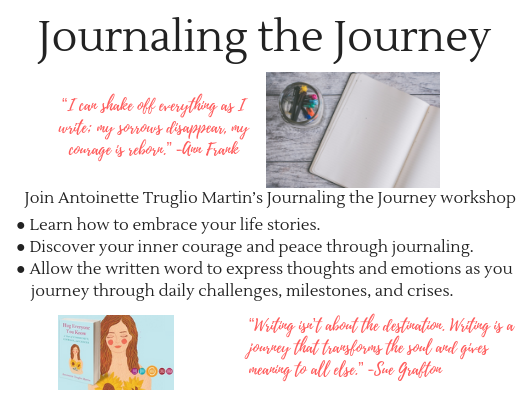 I was accepted to teach my Journaling the Journey Workshop for the Patchogue-Medford School District. It will be an eight-week night course starting in March. 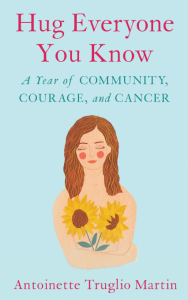 Book Club Chat dates are available. Although I had planned to host a Fun and Games blog fest for February, the universe had other plans. Blogging about play will have to wait until May-ish. Think warm spring thoughts and your favorite childhood games. I would love to post your stories on Stories Served Around The Table. Hi, Antoinette – I totally agree. When the Universe has other plans for us…it is usually wise not to resist. Wishing you a wonderful February ahead!